It might not come as a surprise to you that we at Underluckystars are fascinated by the stars. Staring through a telescope to all the constellations and celestial bodies can be very relaxing. Sometimes we just stare at the night sky and wonder what it all is that’s out there. And after a few seconds we realize we don’t have to just wonder, we have a smartphone full of useful information. It just so happens to be that there are some amazing apps for your phone that could really help you when you want to learn more about stars. So if you don’t have time to watch the TV shows we recommended you, or you have finished them already and you want more, more more...then take a look at these great apps for your smartphone. This app is a real time encyclopedia. When you use SkyView it lets you look at the stars in the sky, and it tells you directly what you are looking at. You just point the screen of your phone to the sky, and the stars will appear on your screen. SkyView then tells you what constellation they are in and provides a lot more information. 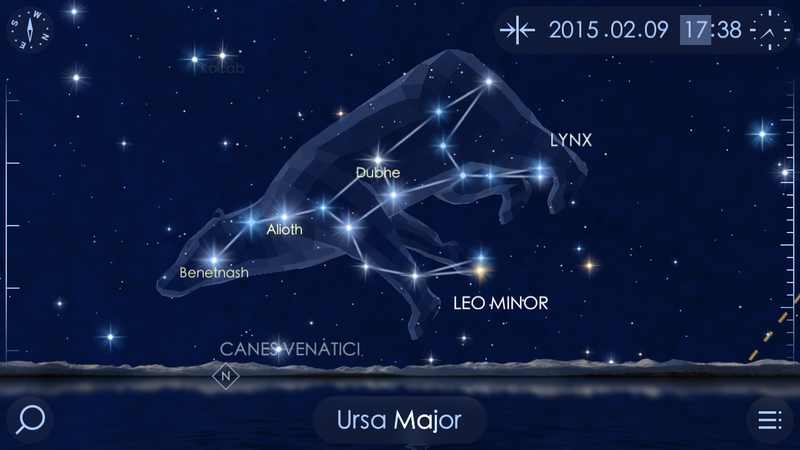 It is a great way to have an interactive and educational look at our night sky. The National Aeronautics and Space Administration is the world’s largest space agency and their database is the most expansive collection of knowledge about anything space related. So if you want to keep up-to-date with the latest space news, or you want to know all about the ongoing NASA missions, then this application is a must have for your phone. It also provides a nice collection of images and videos. Some images are news related, others are just breathtakingly beautiful. Star Walk 2 will let you take a look at the stars in the sky, a bit like SkyView. You don’t need to have the camera active to still look at all the celestial bodies out there. If you want, you can just swipe your way through the constellation map. In the meantime you can read more about all the interesting findings. Star Walk 2 also provides you with a lot of interesting additional information about stars, planets, the Sun, and the Moon. With these 3 free apps you are well on your way to learn more about all the constellations, planets, and stars out there. If you’re not sure if you want a telescope, then stargazing for free with these apps is a great alternative.